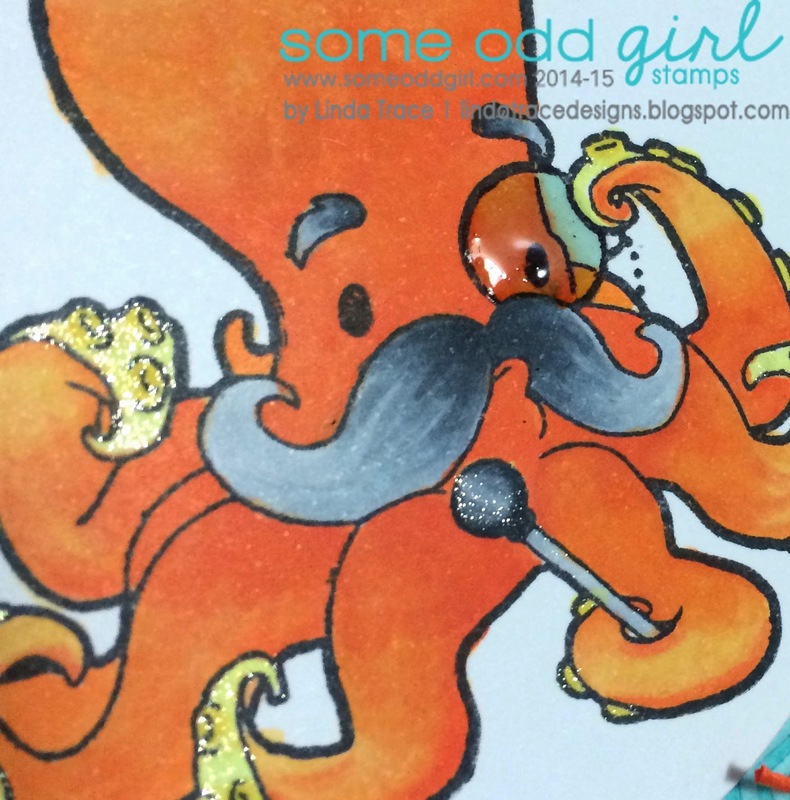 I'm here with a newly released stamp set from Some Odd Girl! Say hi to Mr Octopus! He's such a fun, fantastic image to colour in, the possibilities are endless! I can't get enough of that huge moustache and monocle! I wanted to create a fun sea/ocean effect in the background, so I used this cool Lifestyle Crafts embossing folder. I laid down some Tiffany Blue ink from Simon Says Stamp, onto the 'positive' side of the embossing folder, then ran the blue cardstock through my Big Shot. This gave the great tone-on-tone faux letterpress look. I love how the ink is only on the areas of the embossing that are concave. Such a fun look. His monacle has glossy accents over it, the underside of his tentacles/arms are coated in a layer of Wink of Stella Glitter, as is his sceptre. Ok, now hop on over to the Some Odd Girl Blog to check out the rest of the DT's release projects, and then be sure to pick up the new sets! They're awesome! By the way, have you checked out (or joined) our Facebook Group yet? It's so fun, and SO inspiring! 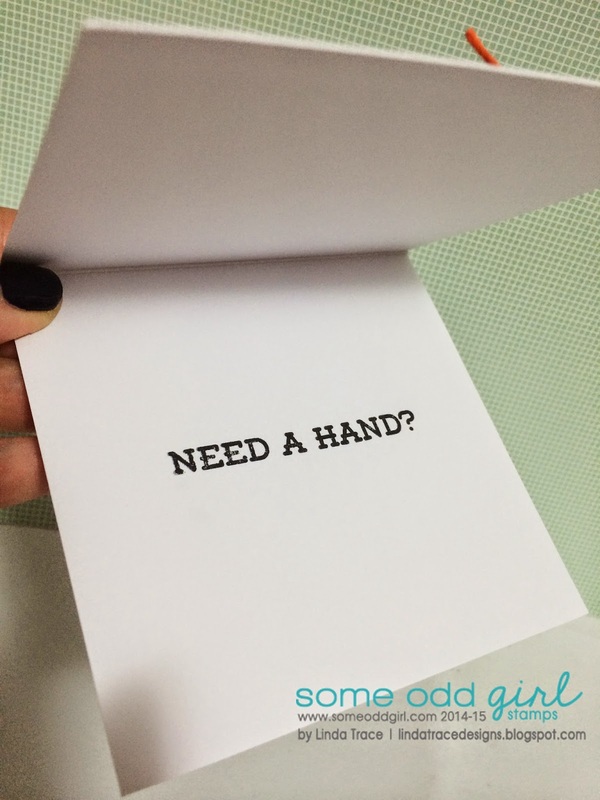 If you're looking for an amazing group of supportive crafters who LOVE Some Odd Girl (and just crafting in general) then this is the one for you! See you again soon Oddies! I'm in awe of your Copic coloring, Linda...it's just beautiful! 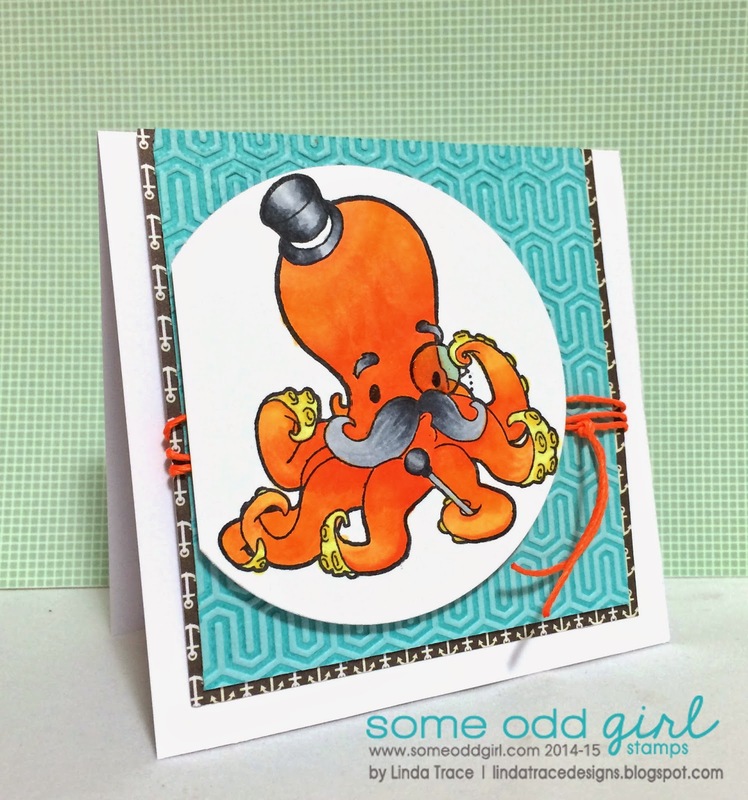 Love your details on this card too, especially the tone-on-tone faux letterpress background...so perfect for Mr. Octopus! Love him to bits in orange! Fab card!